New poll to your right or here: Have you ever volunteered to be bumped from a flight? Share your circumstances – and the cash value you finally jumped at – by leaving a comment after voting. 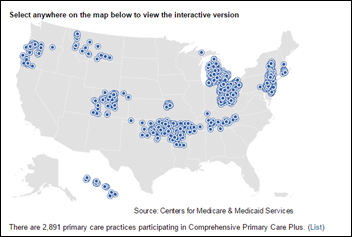 CMS launches the Comprehensive Primary Care Plus model, a value-based payment program that will give PCPs more financial flexibility when caring for the chronically ill.
Epic wins $940 million in its trade secret lawsuit against Indian IT firm Tata Consultancies. Intermountain Healthcare will partner with the University of Utah and several other organizations to create a joint security center focused on thwarting cybersecurity attacks. Federal regulators propose banning Elizabeth Holmes from the blood-testing business for two years after Theranos fails to correct serious problems discovered at its California lab. 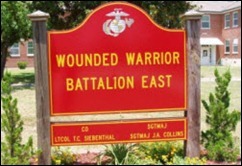 The DoD Inspector General finds that drug abuse among Marines in the Wounded Warrior Battalion at Camp Lejeune, NC is hard to detect because of EHR shortcomings. HHS proposes a one-year delay for ICD-10 compliance, pushing the deadline to October 1, 2014. Verizon announces a relationship with NantWorks to create the Cancer Knowledge Action Network. Play music … all acoustic band. Dog rescue and fostering 24/7. I would get property and have a place to foster many dogs; and would collect codified data regarding the adopters/adoptees to be able to identify traits of good dog/person pairings. Ride coast to coast on a motorcycle. Create a business-school partnership to encourage additional learning opportunities for math and critical thinking; incorporate local in-person and online virtual mentoring. Travel the world, meeting people from all different walks of life, and seeing the beautiful landscapes of our planet. I also would love to do something to help those in need, so maybe a nonprofit that combines my dream to travel and also takes disadvantaged children on these adventures. Having fun with them and seeing their reactions to experiences like that would bring me such joy! Build community gardens in areas where fresh produce is hard come by. I would do more volunteer work. And make quilts – a lot of quilts. Instead of having one in five kids in the US go to sleep hungry at night, I would work to drive that number to zero. Roadside BBQ stand. It’s done when it’s done and it’s gone when it’s gone. When I grow up, I want to be a photographer. I would love to travel the world snapping pictures of whatever comes my way. Traveling to the best restaurants around the world and return to food blogging. I had to quit my blog last year (after a six-year run) due to cost and limited time. Finish that novel, get it out there. Write another one. Art. Art. Art. Nothing but painting, drawing, sculpting, weaving … and gardening. All things visually creative that require getting my hands dirty! I’d follow my favorite bands around the world. Music. That’s been the dream ever since I started playing guitar at age 12. I knew it had a chance since I can play almost every rock/blues song that I hear just by ear, but a) I never found the right band and b) my desire to secure a career somewhere besides McDonald’s led me to attend college and get a "real job" as opposed to rolling the dice and heading from the North Country out to LA a la Neil Young. That doesn’t seem to work out as well in the 21st century as it did in the mid 60’s. I still do some local gigs on occasion and play everyday; it will always be my number-one passion. Attending as many music festivals as I could across the US and when I feel that is fairly complete, move on to Europe, Australia, etc. Coaching people on living a more balanced life to have time with friends and family, and to look after emotional, physical, and spiritual needs. 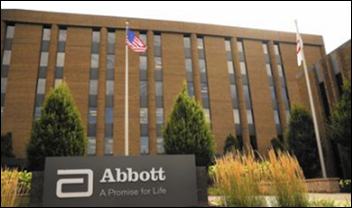 Building and promoting a not-for-profit, nationwide health IT co-op. Rock and roll guitar. What else could there be? Hosting international yoga and wellness focused retreats. Right now, a free weekend to relax and read a non-technical book and some time to travel and see some new places sounds pretty good, albeit mundane. The list of top 50 restaurants in the world just came out and a checking out a new one every week would be fun. I’d help patients learn how to be informed advocates for their own healthcare and the health of their family and friends. Coding! Python, SQL, JScript and everything in between. Nothing like coding to keep your mind sharp and busy. And I do have the time and money to do it, so I do it and love every moment of it. Strongly recommended. This week’s question: What’s the most patient-endangering IT issue you’ve personally seen? NextGen will acquire Entrada in a deal worth $34 million. The White House finalizes its rules aimed at stabilizing the individual marketplaces. Erie County Medical Center (NY) returns to paper after a virus brings down its network. United Airlines suffers financial loss and extreme PR backlash after dragging a physician, later hospitalized, off a flight. India-based provider appointment-scheduling vendor Practo lays off 10 percent of its workforce. 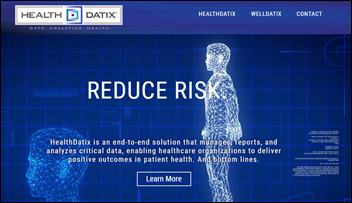 EncounterCare Solutions wraps up the sale of its telemedicine and chronic care management operations to IGambit, which plans to market the services under the HealthDatix brand. Salt Lake City-based Collective Medical Technologies announces plans to hire nearly 600 people over the next eight years. The company specializes in real-time care management tech for EDs. Natoshia Erickson (Washington Health Benefit Exchange) joins Royal Jay as senior manager of solution delivery. 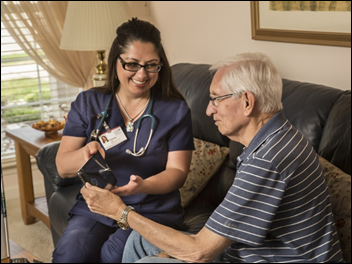 Trinity Health (MI) expands its home health telemedicine program, powered by technology from Vivify Health, to six additional states. Miami Children’s Health System will work with telemedicine hardware and software vendor Tyto Care to expand its MCH Anywhere virtual consult services. Indiana Regional Medical Center (PA) will switch from MEDITECH to Cerner On May 1. Sierra Vista Hospital (NM) will switch from Evident (a CPSI company) to Athenahealth on July 1. Van Wert County Hospital (OH) Human Resources will go live with Infor this year. Cameron Memorial Community Hospital (IN) Human Resources will go live with Oracle in 2017. New Jersey Hospital Association President and CEO Betsy Ryan and NJ Dept. of Health Commissioner Cathleen Bennett attempt to drum up interest in the forthcoming statewide roll out of the electronic Practitioner Orders for Life-Sustaining Treatment program. 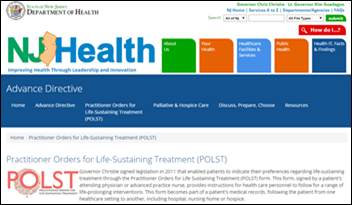 The initiative will convert the state’s paper-based, end-of-life planning documents for patients to a digital format, and give physicians access to the documents via a Web-based portal. Here’s Part 4 of the top 10 HIS vendors report from Vince and Elise. T-System will exhibit at EDPMA 2017 Solutions Summit April 25-28 in San Diego. TierPoint will host a grand unveiling of its newest Chicago data center April 27. ZeOmega publishes a case study highlighting how a large health system implemented Jiva HIE to connect 36 disparate EHR systems. ClinicalArchitecture makes donations to Boy Scouts of America, Casa de los Ninos, and Compassion International on behalf of HIMSS17 contest winners. STAT profiles GE Healthcare CEO John Flannery.